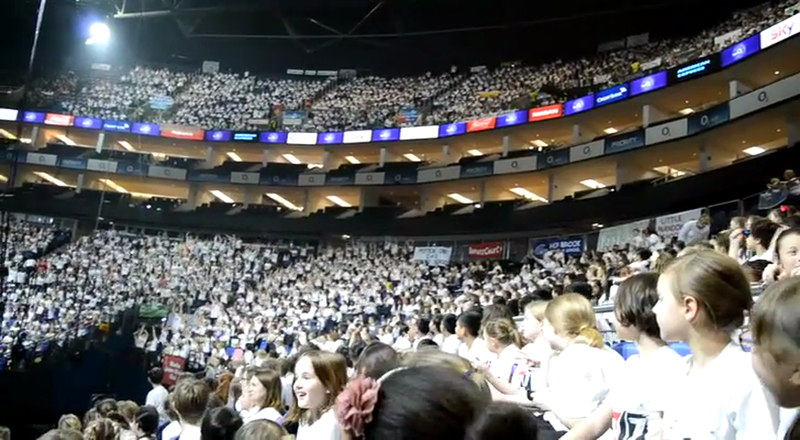 On Wednesday 18th January 2017, a coach full of pupils from Katherine Semar Junior School made it’s way to the O2 Arena in London to perform in the Young Voices Choir Concert. The pupils, from Years 4, 5 and 6 had been rehearsing their songs in an after school club since September and had their words learnt and dances fine-tuned for the show which mixed celebrity musicians with children’s voices. In a sell-out concert, the choir joined more than 200 other schools throughout the country to perform rock, pop, human beat-box, hip hop and rap songs, enjoying events like the singing battle against their parents. Classic songs like Led Zeppellin’s ‘Been a Long Time…’ and ColdPlay’s ‘Adventure of a Lifetime’ were performed by the 7,500 strong choir. Please find some additional O2 Arena photos, for your enjoyment.